NOTE: Wisdom teeth removal, often 4 teeth, can be difficult to estimate in advance as some cases are better/worse than others. Nevertheless, for four impacted teeth the cost would normally run $400. First-rate service, a host of alternatives, and affordable rates make dentistry, a vital aspect of healthcare, readily available worldwide. If you are afraid of going to the dentist, you are not alone. It is estimated that 80% of people fear dental treatment on some level, with only one out of five visiting a dental professional every six months as recommended. However, there is so much more to dental care than white teeth and a glowing smile. Several respected university studies have shown that taking care of your teeth can save your life. The bacteria in dental plaque and unhealthy gums cause blood platelets to clump and form clots. Clots in the heart or brain cause heart attack and stroke. Additionally, diabetes is better managed if gum disease is treated, with proper treatment also reducing the occurrence of heart disease. Four out of five people who have both diabetes and gum disease develop cardiovascular disease, with only one out of five diabetic patients who don’t have gum disease getting the associated heart problems. Rheumatoid arthritis sufferers can reduce the swelling in their joints and their morning stiffness through proper dental care. Gum disease is also a contributor to osteoporosis. University studies also show that proper dentistry helps senior citizens maintain a sharp memory. Compelling as the evidence is, people consider their overall health when visiting the dentist. It’s usually pain, decay, or the appearance of teeth, whether crooked, pitted, stained, broken, or missing, that forces a person to submit. It is a cure, not prevention that motivates most people. Such is usually the case with aesthetic and reconstructive surgery. The patient wants both a restoration of function and an improvement in looks. A patient can’t be blamed at this point for a lifetime of poor dental hygiene. They must be helped by a competent dentist. The dentist will prescribe an implant, a crown, some bridgework, or braces. Medical travelers who seek dental care outside their national borders usually have only one major concern: Cost. In the US, UK, and many European countries, dental care is expensive; especially if extensive reconstructive or cosmetic work is required. In the US, only the most rudimentary dental care is covered by health insurance plans, which is why more than 150 million Americans go without dental coverage. As people age, they naturally outlive their teeth. Even with the best of oral hygiene and preservation, teeth wear down, break, discolor, loosen, and fall out on their own. This ends up requiring extensive reconstructive or restorative procedures that cost tens of thousands of dollars. Therefore, affordability is a key factor for a global population that now lives ten to thirty years longer than the previous generation. 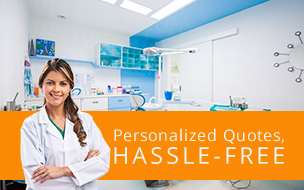 These days, however, the traveling dental patient need not sacrifice quality to save money. Highly competent dentists who attended respected schools of dentistry and are certified by boards in Western countries often work in nearby countries. They provide excellent services for a fraction of the cost. For people who have the appetite to visit a foreign country, the process can be easy. Dentistry draws the accidental tourist. Patients who unknowingly take a vacation in a dental destination country may suddenly find that they can work some affordable dental care into their holiday plans. Business travelers whose work takes them overseas may discover the availability of dental care while chatting with business associates. Bob tells Sue she has a great smile, Sue says she wishes that one crown was an implant, Bob tells her where to find a cheap dentist, and voila! Network connections have just created a reduction nexus between travel and dental tourism costs. Dental patients who live close to an international border form the majority of dental health travelers. US citizens living in Arizona, California, and Texas can easily cross the border into Mexico. An hour's drive can save them thousands of dollars in dental costs. Canadians and US citizens from Maine are flocking to Costa Rica, Panama, Guatemala, Argentina, and Colombia. The dental clinics of San José are only a short hop from Miami, and the dentistry is generally excellent, at costs 50-80 percent lower than those in the US. Europeans find similar advantages in hopping over to Hungary, where they are spoiled for choice among high-quality, low-cost dental clinics. Most people don’t realize that Hungary boasts more dentists per capita than any other country, and some of the best and least expensive clinics are found in rural areas. While it’s economical for Europeans to travel to Hungary for a dental checkup or a cleaning, most North Americans who travel to Hungary are looking for more extensive care, including cosmetic oral surgeries, full-mouth restorations, and implants. Such work can be had at less than half the US price, including travel and accommodations. There is also considerable savings can be made by traveling to Romania for cosmetic dentistry or for treatments such as dental implants and dental crowns. Dental costs may be as low as 30% of private dental costs in the UK. Many providers will also look after your travel and accommodation arrangements, or you can take advantage of low-cost airlines flying into Bucharest. Turkey, on the other hand, has benefited significantly from the growth of health tourism in Europe. The country, well known as a relaxing holiday destination is now becoming increasingly popular as a medical tourist’s haven for restorative or cosmetic dentistry or cosmetic surgery. Travelers to Asia can often find excellent dental services in Thailand. This country is packed with dental clinics. A few cater specifically to international tourists. One good example is the city of Chiang Mai, one of the most beautiful cities in the world, and a top-rated international dental facility. Dentists here have been trained and certified overseas, and a large number received their degrees in the US. Other countries that are highly recommended for dental tourism are emerging Vietnam, Cambodia, and the Philippines. When in Cambodia, it is recommended that you seek treatment in Siem Reap or Phnom Penh for the best experience. These exotic destinations happen to be where many dental tourists from Australia are traveling to as well. If you have certain serious underlying medical conditions, such as asthma or a heart condition, you may want to check with your physician before traveling. Inform him of your plans to travel for dental care. The psychological and physical stress of a dental visit can precipitate an attack. If your asthma is well controlled, however, your doctor will most likely consent to your dental travel. But make sure your foreign dentist knows your medical history before your treatment. Ask whether nitrous oxide or conscious sedation is appropriate for you before any masks or needles come out. Not all medications are approved the same in all countries. Be sure to research any medication conflicts or stories of adverse reactions beforehand. Patients with heart disease, kidney failure, or a transplanted organ need antibiotics to prevent infections that may arise as a result of dental treatment. Antibiotics protect against bacteremia (infection in the blood) and bacterial endocarditis (infection of the inner lining of the heart muscle). Antibiotics also reduce the risk of spreading hepatitis, which is often present in patients with renal failure. If you have any of these conditions, make sure your dentist consults with your physician before your dental treatment plan is written. Remember, dentists are board certified and medically educated just like physicians. They are well-versed in all emergency medical situations and procedures, so rest assured that you are in good hands. Don’t assume that all foreign dentists are equally qualified. Although professional societies and accrediting agencies set standards, compliance varies widely. Slick ads and impressive websites aren't the best indicators of dental competence. Search for evaluations, reviews, and testimonials from previous patients. Don’t be afraid to ask the dentist himself, or a member of his staff, for proof of certification and licensing before you make an appointment. You are paying the bill, you shouldn’t pay with your life. You have a right to know everything there is to know about your dentist’s training and experience. US citizens traveling across the border into Mexico should be particularly wary of unreliable clinics in border towns, where the sheer volume of patients has led to the rise of less-than-reputable copycat clinics. Again, the rise of the industry has happened due to positive reputations and results. But there are always a handful of bad apples in the bunch. Do your homework, and you will be happy. There are often unforeseen delays and natural gaps in stages of dental work. Sometimes a complex procedure is not completed all in one day. Plan a few extra days in your treatment city, just to give yourself some extra breathing room and comfort. Some procedures, such as implants, require two or more steps with weeks or months in between. Find out in advance how many visits you’ll need and the interval between them. Ask yourself whether traveling twice or three times for dental care suits your budget and saves you money overall. If you are retired and don’t have to get home in a hurry, consider budget accommodations such as hostels, homestays, or rentals such as Airbnb. This way, you can save money by staying in the country until all the stages of your dental treatment are complete. Most countries give visitors a 90-day visa, with a two-month extension available for certain circumstances. Even the best dentists can make mistakes. Murphy’s Law decrees that even perfect dental work can fail. Fillings can fall out. Crowns can come loose. If something goes wrong during travel or after you return home, you don’t have many options. You can either get the problem fixed at home or travel back. Most reputable overseas clinics will make repairs free of charge or at low cost; but what if you are halfway or all the way home? You would still have to pay your way back. Therefore, make sure you allow for possible return travel when you plan your dental travel budget. Or, tack on a couple extra days to your trip to make sure everything has settled. You don’t want to pay as much to have a simple bite adjustment done on a crown as you did to have it cast and cemented. That would negate the entire advantage of your dental travel. So, be smart, and be sure to keep your hometown dental specialist informed of your medical travel decisions. Dental Tourism Implants Cost about $800 – $1,500 per plate. Selected by Dental Tourism editors. Our list is a select group of facilities known around the world for exceptional work in this specialty. Rose Dental Clinic is a premium, affordable, full-service clinic that specializes in implantology using the latest materials and branded implants from Asia and Europe. Bangkok International Dental Center has 4 branches and is the largest standalone, award-winning private dental center in Bangkok. The dental center is a leading dental implant and dental cosmetic center having treated a large number of full mouth rehabilitation and restorative cases. Sani Dental Group is the gold standard in Los Algodones, Mexico. Mario Garita MP The Dental Experience has been providing professional dental services for 22 years and has a joint venture with VIAX Dental technologies (one of the finest Dental Laboratories in the world). MDental Clinic Hungary is an ISO audited and award-winning clinic that gives a sophisticated smile makeover pain-free. Tanfer Clinic is the unique performer of Osteobioregeneration (Box Technique) as of today. Silver Oaks Dental Clinic is utilized advanced digital technology and offer different makeover packages where patients get to recuperate after treatment in one of our 5-star private safari game reserves. Ultra Dental Care & Esthetics applies the highest international dental standards following the American Dental Association and the European standards for safety and sterilization.